Hey! It’s me…MAGIC. 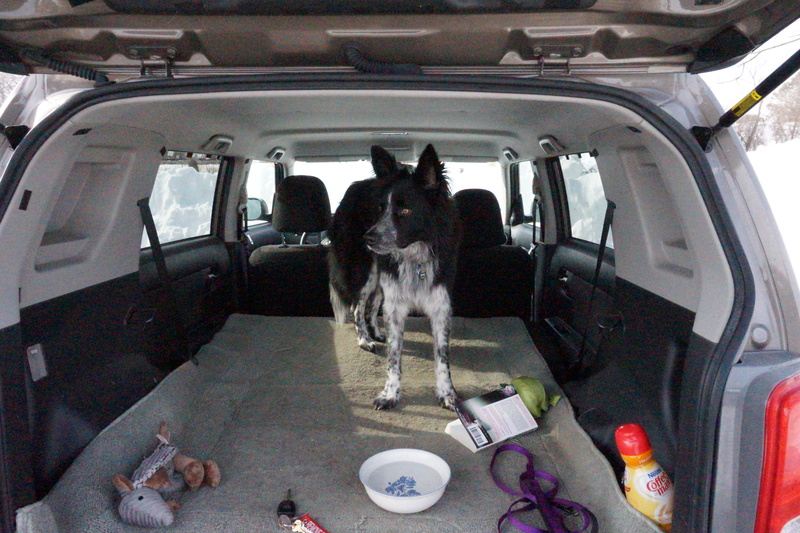 My Dad took me in the car and we went to THE DOG PARK! 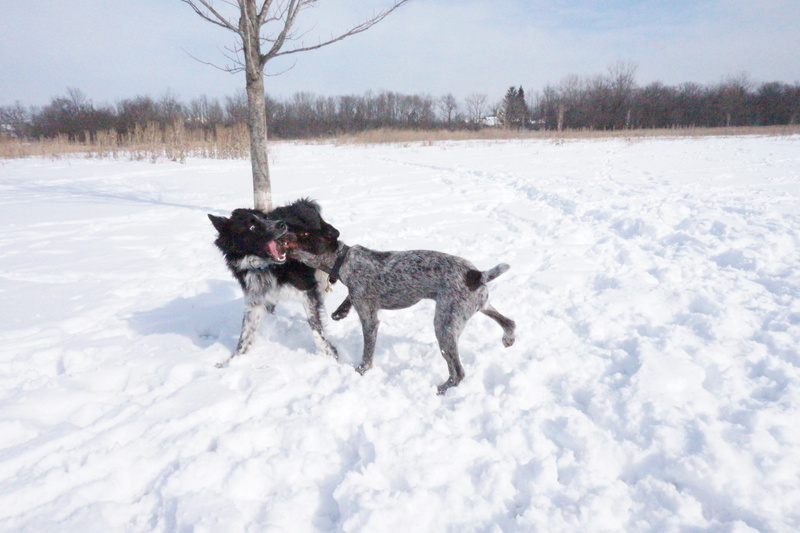 A gorgeous day here…mid 40’s, warm sunshine, packed snow (no mud), and, the best part…WE WENT TO THE DOG PARK! What? I said that already? Well, we did go there…isn’t there some snow to shovel…or a Scion xB to wash? No, I won’t chew on the keys. 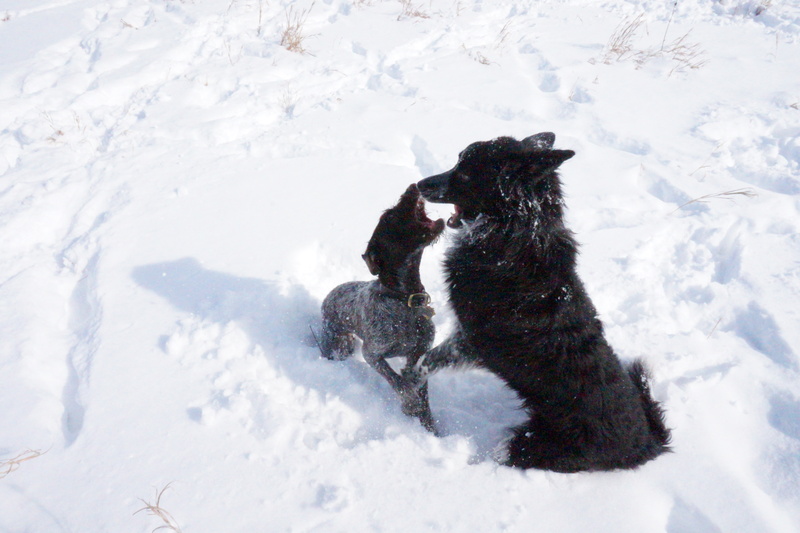 Sometimes, My Dad wants to h-o-v-e-r over me when I am posting to the blog…and there he goes with the bucket of water. Guess we’re going to wash the Scion xB. 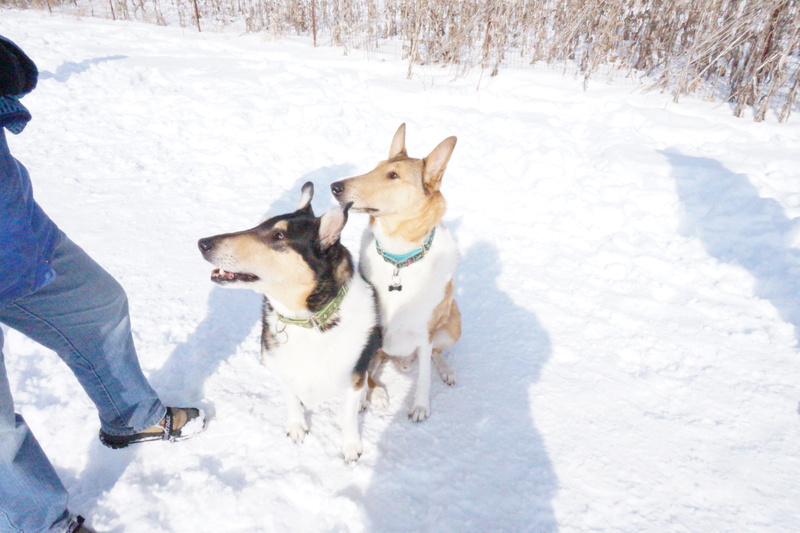 Did I tell you we went to the Prairie Wolf Dog Park? 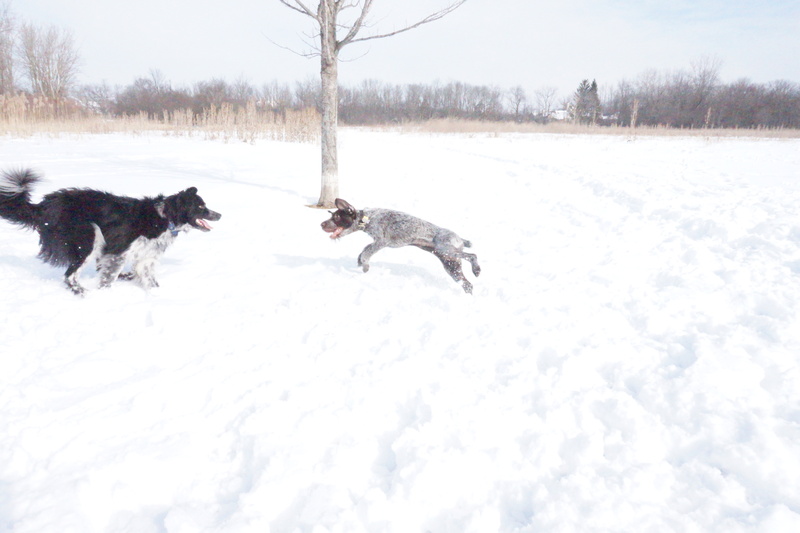 Anyway, my best friend at the Dog Park today was GIBBSY, a German Wirehaired Pointer, and she was SO MUCH FUN! We wrestled, chased, she played dead. 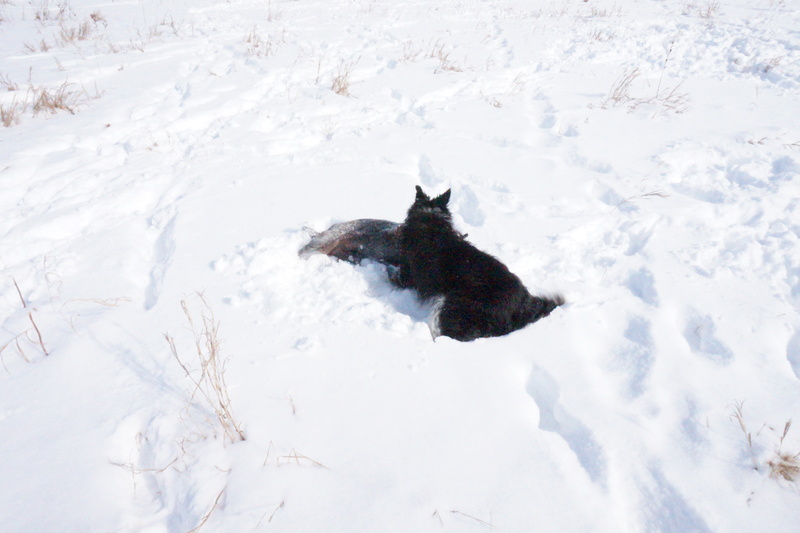 This is GIBBSY pretending to be the victim of a Border collie attack…we were just playing! 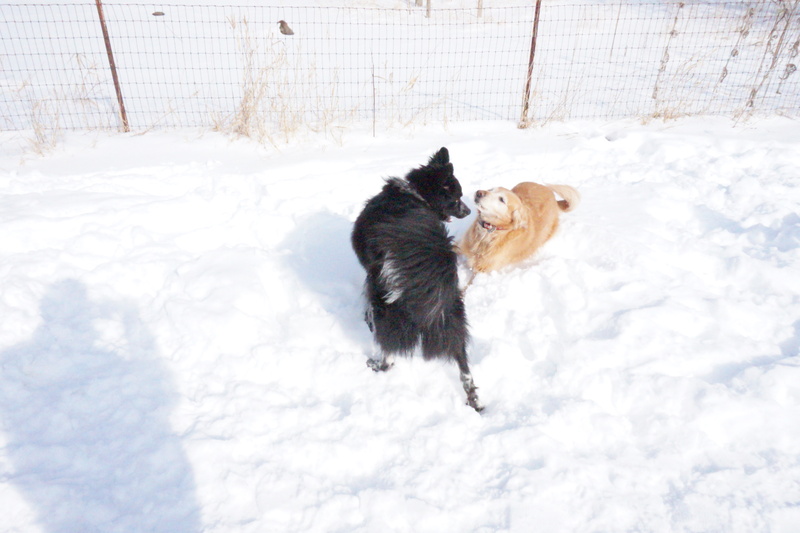 GIBBSY was very good at play-fighting…relax, we’re playing! How are GIBBSY’s ears backwards? 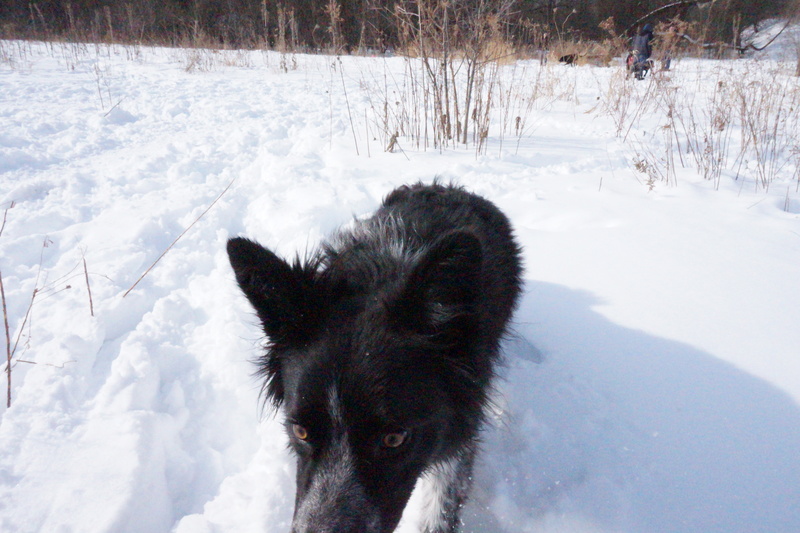 I know she was moving towards me…? I like to play fair. Gibbsy liked to play fair, too! This is the gorgeous and mysterious GRETA. She would not tell anyone about her Mom and Dad. I asked her if she was a Border collie and she gave me a wink. The 50/50 split face is very interesting. 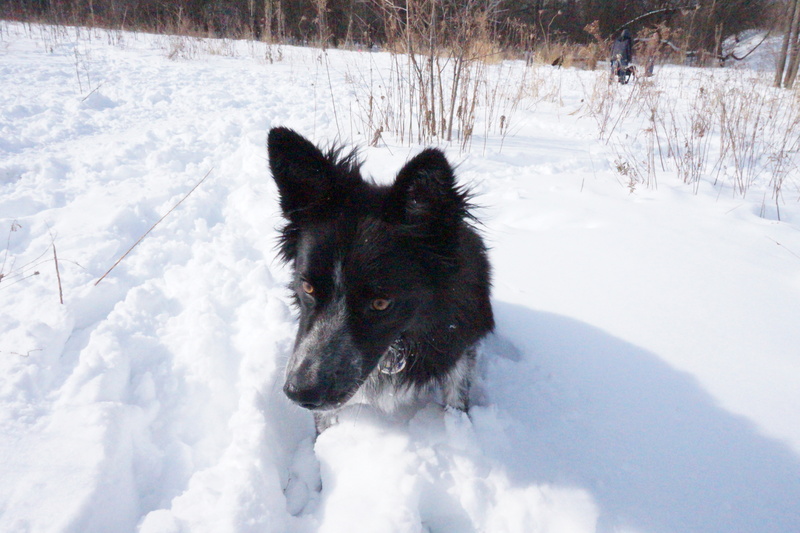 This is Greta…very mysterious about her lineage. Time for some hamburgers. We went to McDonald’s. 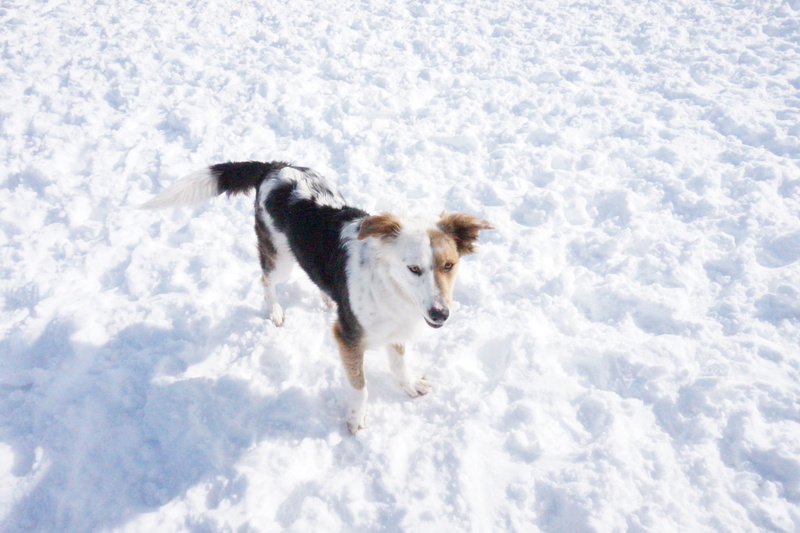 This entry was tagged border collie, border collie rescue, dog behavior, dog rescue, dogs, dogs and people, herding dogs, life with a dog. Bookmark the permalink. This is a great blog! Really could not wait to see my pictures. 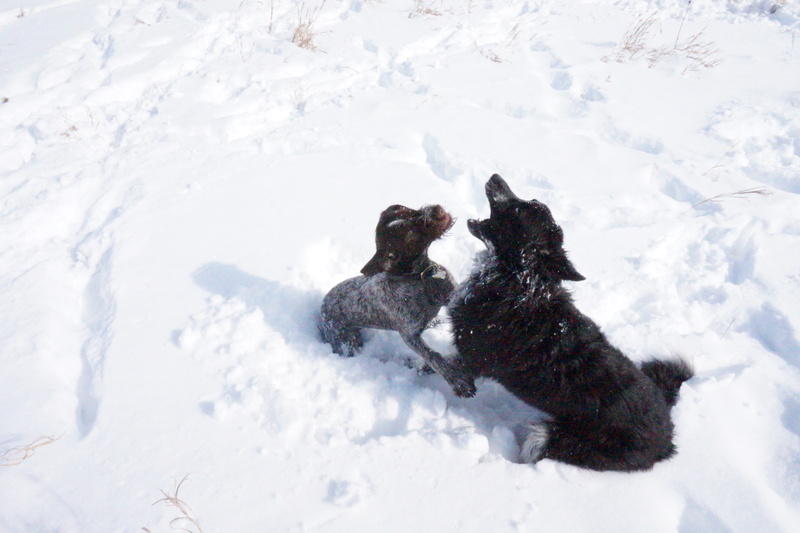 Hope to see you again at Prairie Wolf Dog Park (my favorite place in the WORLD!) -Love, Gibbsy Jane. OMG ……so much easier to see on my iPad……but “Playmate”….really??!? !